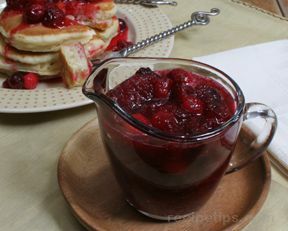 This tangy syrup is delicious when served with pancakes or waffles, as an accompaniment for turkey or pork, or as a dessert topping. Bring honey, orange zest and juice to a boil over medium high heat in a saucepan. 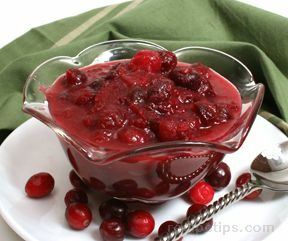 Add 3/4 cup of cranberries to the mixture and cook for 5 minutes or until the cranberries start to pop. 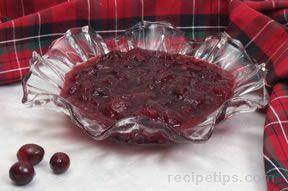 Stir in the remaining 1/4 cup of cranberries. 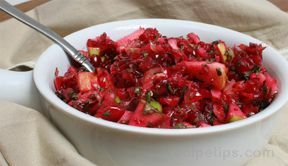 Serve warm over your favorite pancakes or waffles.